Now, who doesn't love a good old fashioned egg hunt? Well, I know my son is up for any task that involves a game, so I came up with this activity to reinforce opposite pairs with an egg hunt! 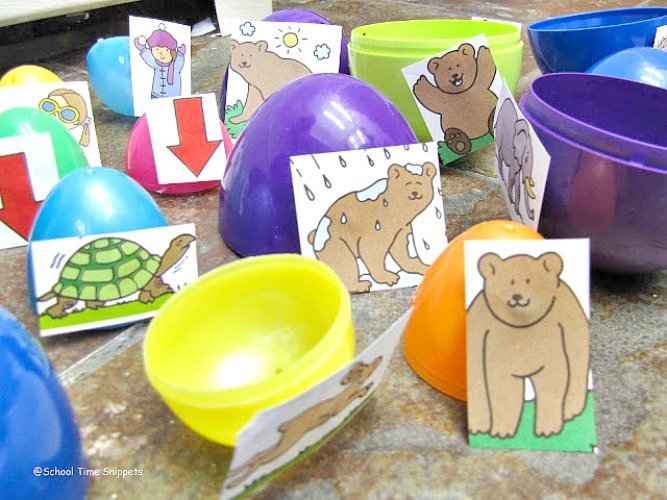 It's a fun and simple way to learn with plastic Easter eggs! 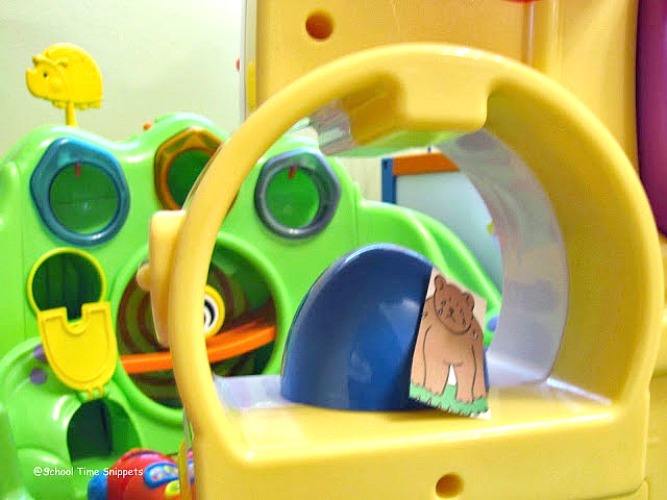 Your preschooler will love this game. 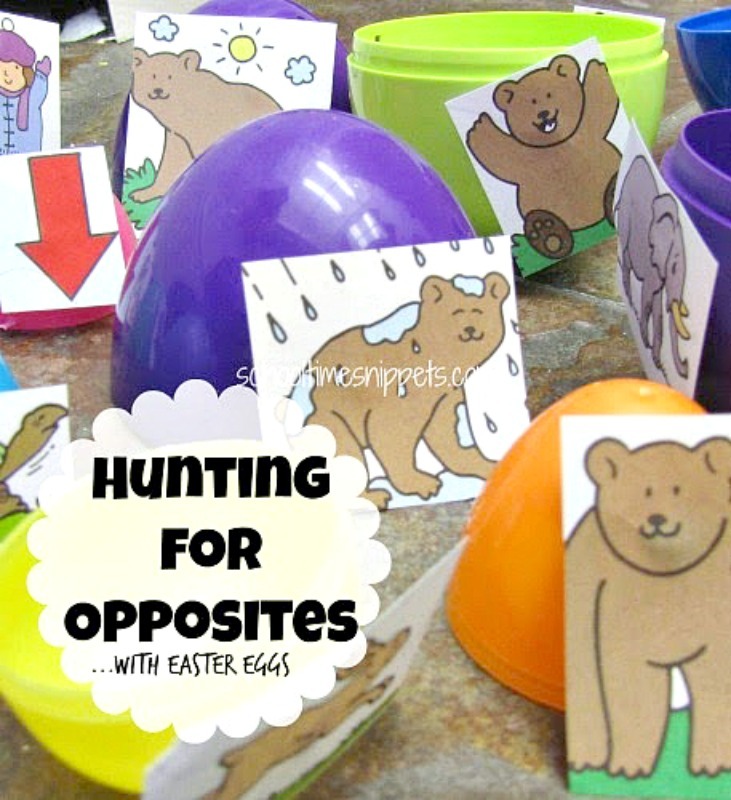 Gather some plastic Easter eggs and pictures of opposites, and learning becomes a game of hide n seek! I wanted this to be an activity that Big Brother did on his own, so I looked through preschool and kindergarten workbooks that were stashed away to find pictures of opposites. 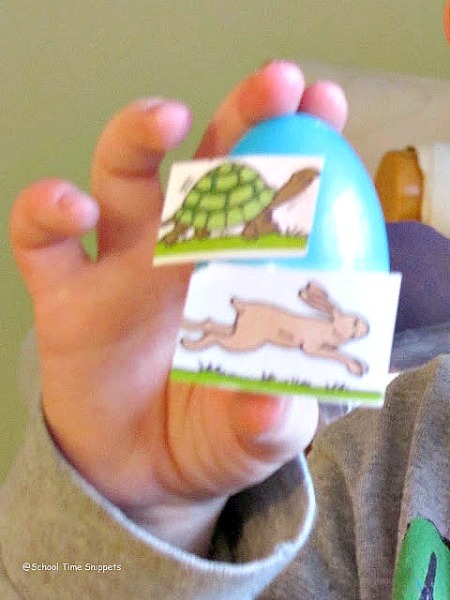 Once I found several pairs, I cut then out and taped them onto the outside of plastic Easter egg halves and hid them around our playroom. 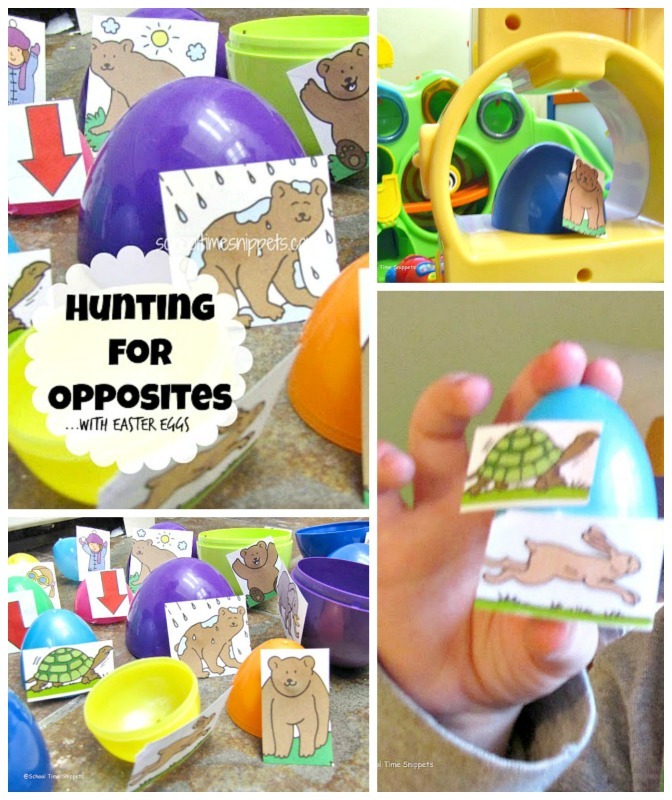 Big Brother's task was to find the eggs and then match the opposite pairs. I mixed up the colors so Big Brother would have to focus on matching the words the pictures represented, not the egg colors. If you had several of the same color, it would provide an element of self-correction. Big Brother had trouble with some of the pictures as it wasn't clear what the word was supposed to be, but otherwise he did great job matching opposite pairs. Next time I might write the word onto the picture, too. 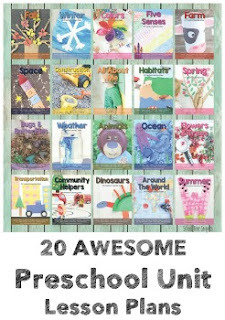 This activity can be used for many other concepts, as well!! Happy Egg Hunting!